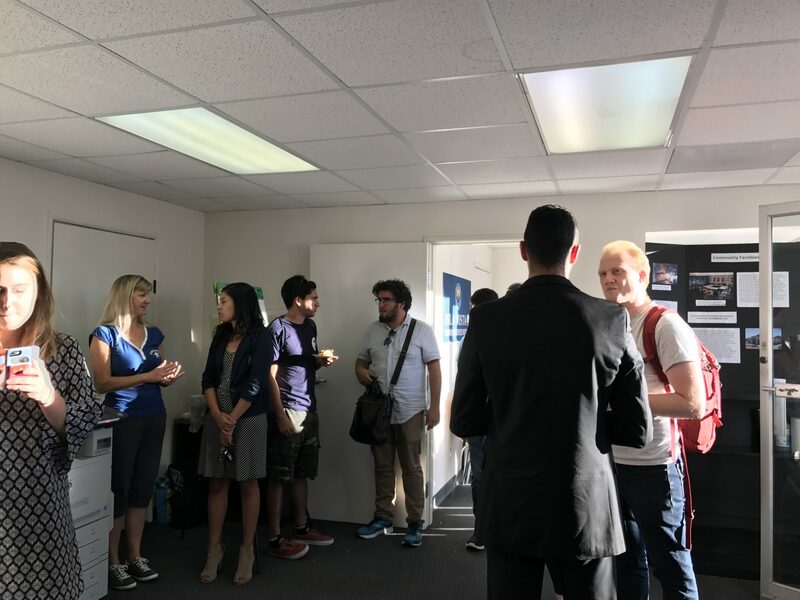 For the first time in Isla Vista history, elected officials in the small, unincorporated community next to UC Santa Barbara met with their constituents. At an open house on Tuesday, I.V. residents munched on free sandwiches and checked out panels with information about the Isla Vista Community Services District (IVCSD), I.V.’s first form of local government. The IVCSD formed in March after residents voted for self-governance last year in hopes to improve living conditions, public safety and infrastructure. The IVCSD is run by a Board of Directors consisting of five elected directors — Ethan Bertrand, Spencer Brandt, Jay Freeman, Jon Hedges, and Natalie Jordan — as well as UCSB assistant vice chancellor George Thurlow, who was appointed by Chancellor Henry Yang, and Robert Geis, the county’s former auditor-controller, who was appointed by the Board of Supervisors. At the open house, Bertrand said public safety concerns are currently IVCSD’s top priority. The group has teamed up with UCSB Police Department’s Community Service Organization (CSO) to increase the number of escorts available to walk people home who feel unsafe at night. She said she hopes the IVCSD will eventually try to address parking concerns as well. In addition to public safety, Bertrand said he wants to make I.V. a more fair place to rent. IVSD’s regular board meetings are open to the public. They are held on the first and third Tuesdays of each month at 6pm at 970 Embarcadero del Mar.